Before or during labor, fetal distress symptoms alert health care professionals that the baby’s oxygen supply has been compromised. The onset of fetal distress can happen suddenly during a seemingly normal pregnancy. The health of the baby is dependent on obstetricians, nurses, and other members of the birthing team recognizing warning signs of fetal distress and respond promptly. If competent measures aren’t taken right away, the newborn may suffer permanent birth injuries resulting from oxygen deprivation. Fetal distress that goes unnoticed or is improperly handled often has disastrous consequences for the child and his or her family. In such tragic situations, having a compassionate birth injury attorney on your side is imperative. At Eisbrouch Marsh, we will seek justice for your loved one and hold the negligent parties liable for their actions, so your family can focus on healing. Using our network of medical specialists, we can determine if malpractice was the leading factor in your child’s injuries, and help you recover just compensation in a court of law. The most common reason for fetal distress is an insufficient oxygen supply to the baby, both through the placenta and umbilical cord. Babies who are in distress typically have decreased heart rates or exhibit changes in their normal movements (or stop moving completely). Another early symptom is when the fetus passes their first stool, called the meconium, while still in the uterus. The most reliable indicator of fetal distress is an abnormal heart rate pattern in the baby. The decision on how to proceed after identifying fetal distress is as crucial as the actual diagnosis. Failure to respond to fetal distress in a timely manner can compromise the baby’s health and pose life-threatening complications. Once fetal distress is accurately diagnosed, the hallmark treatments are designed to alleviate stress on the fetus by restoring blood flow via the umbilical cord to improve oxygenation. If these techniques aren’t successful, doctors generally strive for a quick delivery. This may include an induced labor with forceps or vacuum suction, or an emergency Cesarean section. When attending medical personnel fail to meet the challenges presented by fetal distress, they may be held liable for any resulting birth injuries. Time is of the essence when managing fetal distress, as every second of oxygen deprivation can culminate in catastrophic birth injuries – the ramifications of which will last a life time. Medical malpractice attorneys at Eisbrouch Marsh have pursued lawsuits involving birth injuries linked to a failure to properly diagnose and treat fetal distress symptoms. If your newborn suffered a needless injury because caregivers failed to respond appropriately following signs of fetal distress, you may have grounds to file a medical malpractice lawsuit. Eisbrouch Marsh is committed to balancing the scales of justice for victims of preventable birth injuries. The law firm’s reputation rests on nearly 50 years experience in medical malpractice litigation. 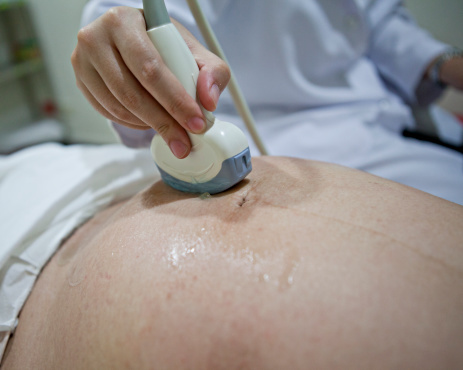 Obstetricians and other health care providers are trained to identify early warning signs of fetal distress and proper management strategies to mitigate potential injury to the newborn. Negligence in the delivery room can take many forms, including ignoring risk factors, failing to order medical tests, misreading symptoms, failing to provide an acceptable standard of care, and negligent credentialing. Our legal team understands the emotional and financial tolls placed on innocent families who have suffered the long-term consequences of medical mistakes. If your baby suffered birth injury complications stemming from fetal distress and you’re unsure who is at fault, let our dedicated attorneys review your case and explain your options for legal recourse. Call us today for your free and confidential consultation. There is no upfront cost to you, as we take on all cases on a contingency basis. Did you child suffer a birth injury?